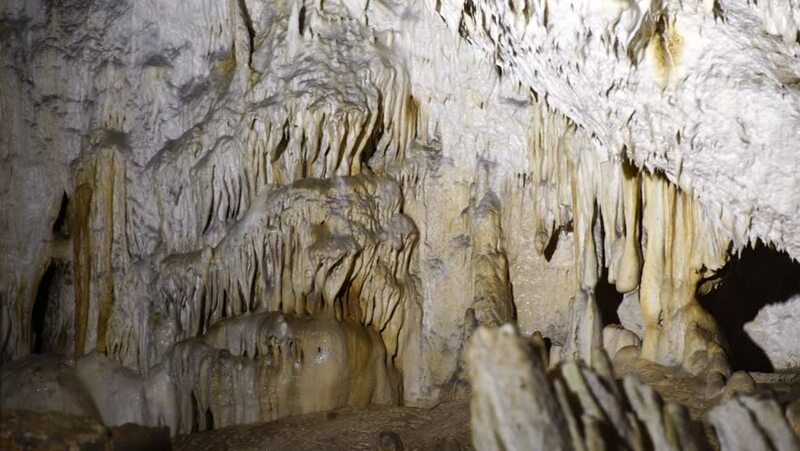 Interior of a cave with cave formations like stalactites and stalagmites. Beautiful nature creations. hd00:14Small waterfall flowing down the rocks.